Editor's Note: Throughout the year, Pope John XXIII Regional High School will feature alumni who have excelled in life since graduating and have represented our school with tremendous pride. In this new series, called "Lion Pride," we take a look at 1999 graduate Jonathan Scott. Now, the 1999 Pope John graduate gets to sing and perform in front of thousands of people every night as a full-time chorister for The Metropolitan Opera in New York. Before earning his dream job, the 38-year-old Scott first developed his love for singing at Pope John. While attending the school from 1995-99, he was a member of Pope John’s select chorus and the Pope John Players. After graduation, Scott attended Westminster Choir College and earned a degree in music education in 2004. Since graduating from Westminster, Scott has put together an illustrious career as a soloist. He has performed the roles of Figaro in Rossini's Barber of Seville, the title role in Mozart's Don Giovanni, Giorgio Germont in Verdi's La Traviata, Marcello in Puccini's La bohème. In July 2017, Scott played the legendary Italian character Gianni Schicchi in the self-titled one-act opera at the 2017 Narnia Festival in Italy. Scott has also sung in many of New York’s most famous concert venues, including Carnegie Hall, David Geffen Hall (formerly Avery Fisher Hall) and the Riverside Church. During his career, Scott earned his part-time position with The Metropolitan Opera in 2012. In his first year with the Met Opera, Scott and the entire cast of its Der Ring des Nibelungen, which translates from German as the Ring of the Nibelung, received a Grammy Award at the 55th annual award show for Best Opera Recording. Scott played one of several medieval vassals in the opera's fourth cycle called Gotterdammerung. But, Scott still had his sights set on becoming a full-time member of the Met Opera’s chorus — something that is not easy to earn because of the limited spots the Met’s chorus has and how great of a job it is when it comes to the realm of performing arts. Luckily for Scott, two full-time members of the Met Opera left over the last two years. Then in August, Scott auditioned to be a part of the chorus for another season and he performed well enough to be granted full-time status. 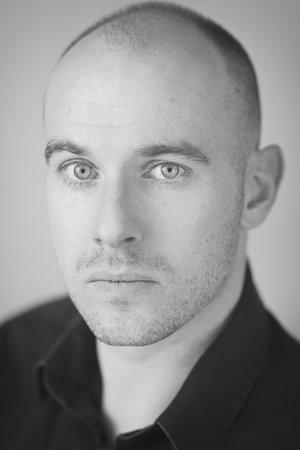 Since being a full-time chorister, Scott has performed in operas such as the Samson et Dalila, Aida, Carmen and Mefistofele. Scott, who is currently performing in Carmen and Mefistofele, said there is a ton of preparation and work that goes into performing each of these shows at a high level. No matter how tough it is, though, Scott believes it is all worth it when he gets to be on the world’s biggest stage for opera.